Cendrowski Corporate Advisors (CCA) works hand in hand with owners, entrepreneurs, venture capitalists, and managers to help them achieve their goals. Our more than 35 years of experience allows us to share best practices from the public company arena with private firms. Whether your firm is looking to grow, restructure, or go public, we offer comprehensive services that are unavailable with other advisors. Cendrowski Corporate Advisors (CCA) works hand in hand with public-company management teams and boards of directors to help them achieve their goals. We have assisted multinational corporations and newly-public firms for more than 35 years. Our team members have experience assisting public companies with all forms of securities law compliance. 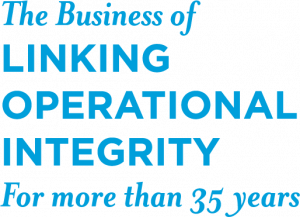 Our engagements help companies ensure compliance with all sections of the Sarbanes-Oxley Act (including Section 404 compliance) and Foreign Corrupt Practices Act. We bring a holistic perspective to each of our engagements. Each of our team members brings an average of more than 20 years’ experience in providing these services to clients. They hold nationally-recognized financial and accounting certifications, teach at universities and colleges, and contribute to the advancement of their professions through service activities. No matter the type of engagement, our professionals bring their complete body of experience to the table, ensuring you obtain a perspective unavailable with other advisors. 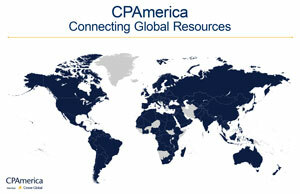 CCA develops sustainable practices that can be used even after our engagement has concluded. This philosophy ensures that your firm will continue to realize returns on your investment long after we have left. It is our goal to foster and maintain long-term relationships with our clients. We strive to provide unparalleled professional services in every aspect of an engagement. Families and individuals with the good fortune of having great wealth are well aware of the extraordinary opportunities that such wealth can bring: multiple homes, extensive travel, recreation, and social activities. Along with the increased opportunities are the increased complexities and day-to-day responsibilities of managing one’s own assets and financial affairs. There is a vital need for professional management of individuals’ and families’ financial affairs in order to achieve a wealthy individual’s desired objectives. Many wealthy individuals do not have the time to properly manage their broad range of resources because of their substantial business, philanthropic, and family commitments. Even individuals who successfully manage their own financial affairs may have concerns about continuity of financial management in the event of their own illness or death, since others in the family may not possess the specific skills to effectively take over the spectrum of management responsibilities. An exciting trend is the creation of the multi-client family office, also known as the “multi-family” office. This variant of the family office concept is the solution to the prohibitive cost and time consuming administrative issues present in a single-family office. Sometimes multi-family offices are created through the merger of two independently managed family offices to achieve cost efficiencies.